As you all know I am technically on a no-buy. I am trying to not buy new products this year until I use up some of what I already have. Technically all four items I purchased are things I don't have an overwhelming amount of. If I was purchasing lotions or shower gels I would tell you to come over and slap me...however I am buying a few things to test out that catch my eye. 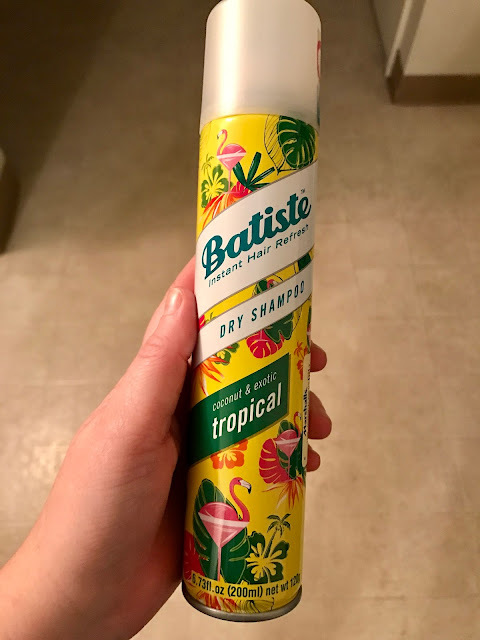 I have never been a huge dry shampoo girl but I actually have heard amazing things about Baptiste. I picked out this tropical scent and I may be becoming a convert! I used it last night and again this morning just to try it out and love it so far. I love the prices at Marshall's- great for trying new things! 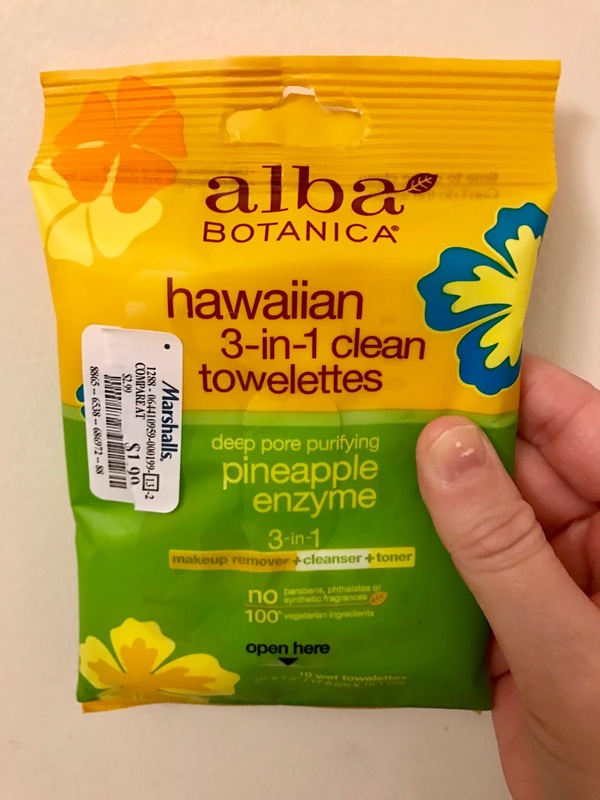 I love a good makeup wipe and I figured the Alba Botanica Hawaiian wipes would be great to try. There are also only 10 inside so if I don't care for them they will be used up quickly! I tried one last night before bed and really liked it! Also a small package for only $1.99? I love Marshalls! The last item I picked up from Marshalls is this beauty blender. I believe the brand was Precision Beauty and so far it has been great for applying my BB cream in the morning! I am planning on purchasing a new foundation in the near future so I am looking forward to being able to apply it with an airbrush finish that this beauty blender will provide. Last up is a Sephora splurge. I was in the mall and couldn't help myself when I made this purchase! (insert guilty face here) This is the Laura Mercier Secret Concealer in 0.5. I had planned on purchasing the Laura Mercier silk cream foundation when I walked in that day but I couldn't find a shade in my color. I think I will be Rose ivory (the lightest shade) but they didn't have it in stock. Instead since I was ready to make a purchase I decided to grab the secret concealer which I only use on my under-eye area. So far it's awesome and seems like my perfect color! I can't wait to pick up the foundation and complete the look!